there isn’t much we can’t handle! isn’t much we can’t handle! Buckland Garage has been established since 2001 and is your local independent garage providing complete care for your vehicle to include servicing, repairs and MOT. Buckland Garage is conveniently located on the A25 Reigate Road between Dorking and Reigate. We welcome customers old and new, private vehicle owners as well as trade and business users. Our professional team works to the highest industry standards providing you peace of mind that the care and maintenance of your vehicle is in the best hands. At Buckland Garage we provide servicing and repairs for all makes and model of vehicle. Our latest diagnostic equipment enables us to quickly identify any issues and carry out repairs effectively and efficiently keeping you, the customer informed throughout the process. 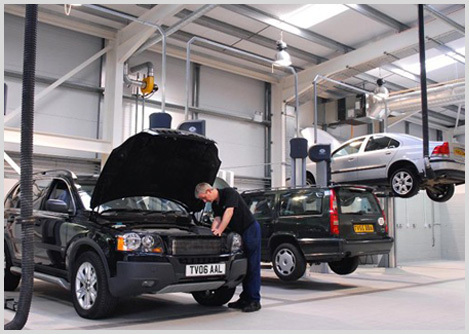 MOT testing service provided for Cars and Light Vans (Class 4). We supply tyres from all the major manufacturers and can recommend the most suitable tyres for your requirements and budget. Air conditioning service and full leak test can be carried out by one of our trained technicians, this will ensure that your air conditioning unit is working in both an efficient and cost effective manner. Buckland Garage, Building 1, Reigate Road, Buckland, Nr Reigate, Surrey. RH2 9RG.